For her couture spring/summer 2019 collection, the designer took inspiration from the “creative chaos” of the circus, combined with the work of artist Cindy Sherman and her focus on clowns. To help bring this vision to life, she enlisted the help of all-female circus company Mimbre, who animated the show with performances along the catwalk. 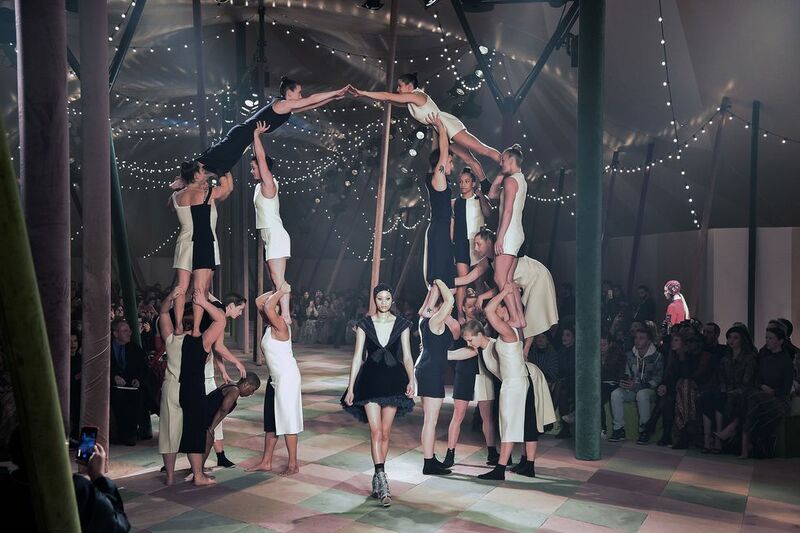 The acrobats, who were all dressed in matching black and white outfits, performed various stunts, tumbles and towers as the models weaved between them. Their performance was designed to “highlight the trust and bond between the acrobats’ bodies,” explained Chiuri. 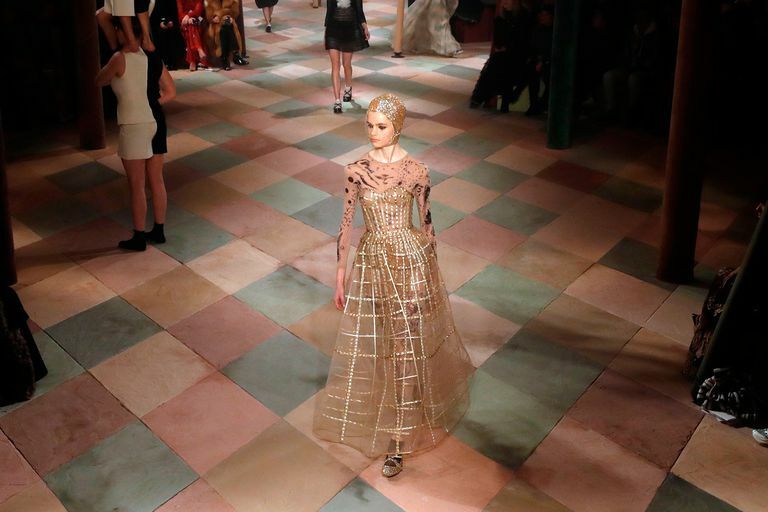 The show took place within a big-top circus tent, filled with strings of shimmering fairy lights, while models walked across a multi-coloured Harlequin-print floor. 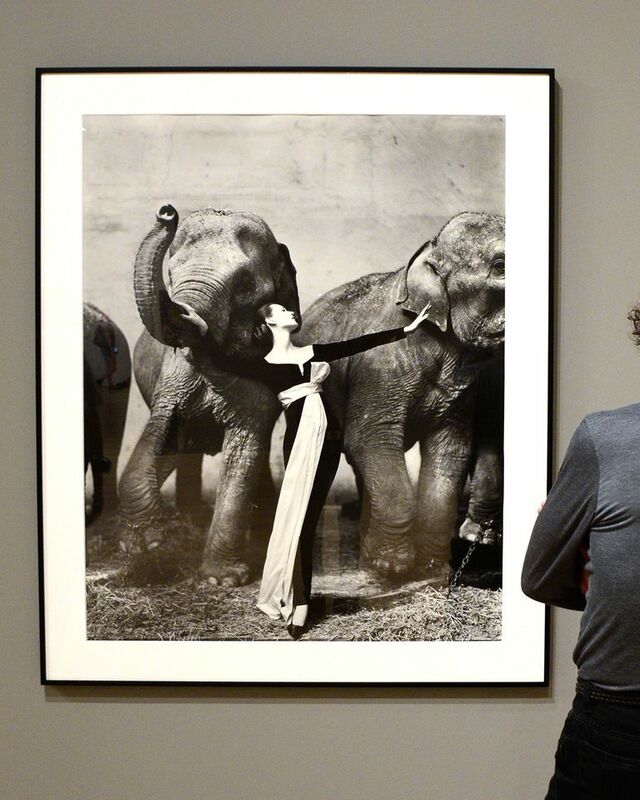 The fashion house has historic links with the circus; Christian Dior himself enjoyed going to the Cirque d’Hiver, which is where, in 1955, photographer Richard Avedon took his famous photo, ‘Dovima and the Elephants’ – “an image that perfectly evokes the wonder and majesty of haute couture,” says Chiuri. 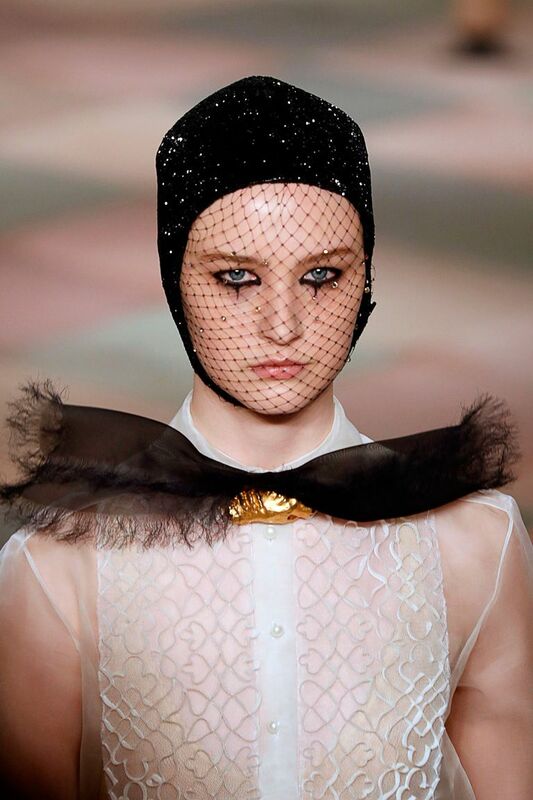 The circus influences were deftly woven throughout the collection, appearing via ruffled clown collars, a tattooed sleeve – reminiscent of a Victorian circus performer – or through tulle skirts covered in sequins, in a nod to the costumes of acrobats, tamers and riders. Models also appeared to have literal tears of a clown by way of the beauty look, constructed by Peter Philips, with smudged eyes peering out from under a veil. Hair was neatly concealed beneath glittering skull caps – all the more practical for performing somersaults in. 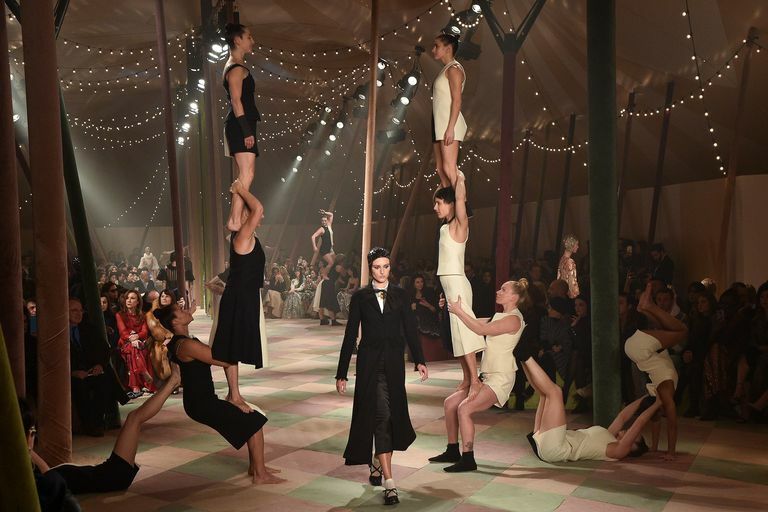 Who wouldn’t want to run away and join the Dior circus? The designer gets personal and looks to her parent’s travels as inspiration for Spring-Summer ‘19. Taking on the exclusive BMW Driving Experience. The novelist becomes the first Northern Irish writer to win the £50,000 prize. Dive deep into Nespresso’s Master Origins where different landscapes are transformed through ethical coffee farming practices. Suicide is something that happens to you, much like a physical disease, writes Melissa Blake.